Item: Flex Shaft 12 foot 1/2" | Mfg #: Flex Shaft 12 Foot 1/2"
The 1/2" x 12' Flex Shaft with Protective Covering. Use a cordless drill with adjustable clutch to operate. 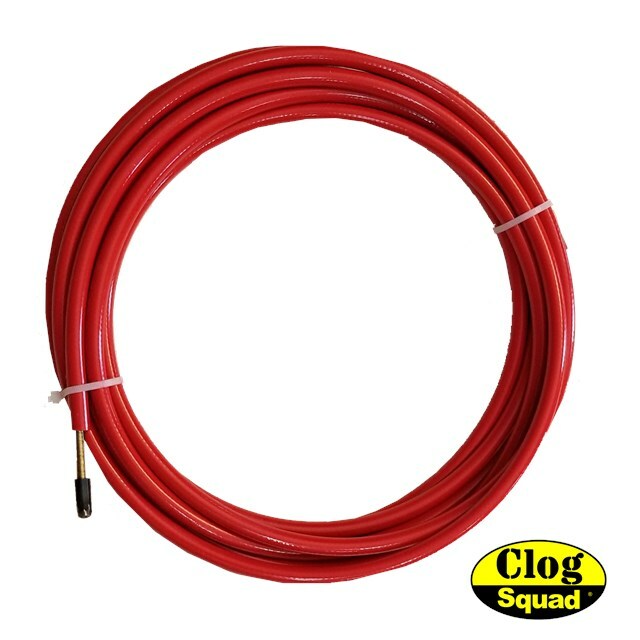 The 1/2" x 12' Flex Shaft includes Medium Chain Heads for Roots. 1/2" Flex Shaft Drain Cleaning Flexible Shaft in protective sheath. Our 1/2" Flex Shaft is the largest of all our drain cleaning Flex Shafts. Find the right attachments for your job and use this for 4"-8" pipes. 1/2" x 12' Flex Shaft includes Medium Chain Heads for Roots.